This week has seen us say goodbye to Sherwood Forest and hello normality. The hubby returned to work and Joseph returned to school in year 5! It was back to just the twins and I again. This week has also seen sore throats and colds which have resulted in disturbed nights, tired people and tears. But at the same time there has been a calmness in the twins since Joseph has returned to school. On Monday we said goodbye to this lovely view. This was the view we had each morning and I loved standing outside, first thing, just taking in the fresh air and peacefulness. When we got home we collected Dotty from the cattery. I hadn't realised how much we had missed her until we collected her. 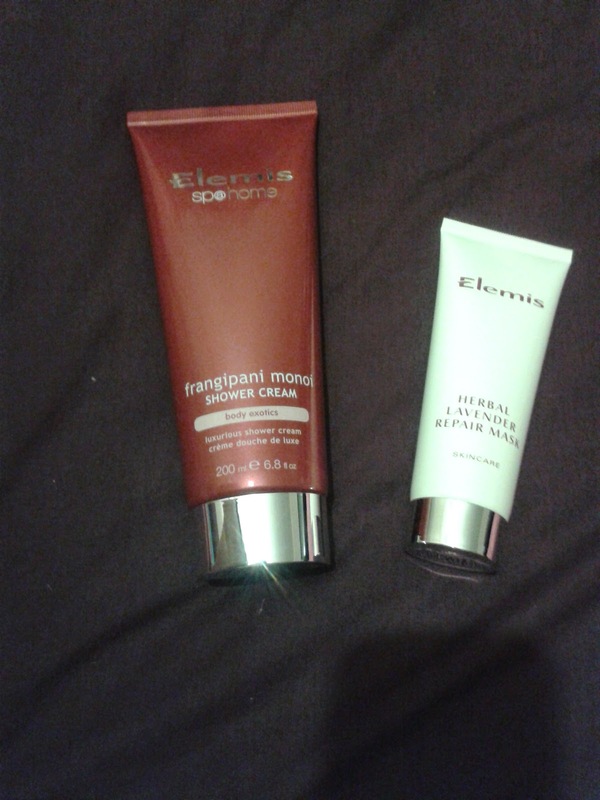 Whilst we were away I treated myself to a few Elemis products. I have never spent so much on skincare but this is my attempt to start looking after myself more and doing something for me. So on Tuesday I started by having a bit of a pamper evening. 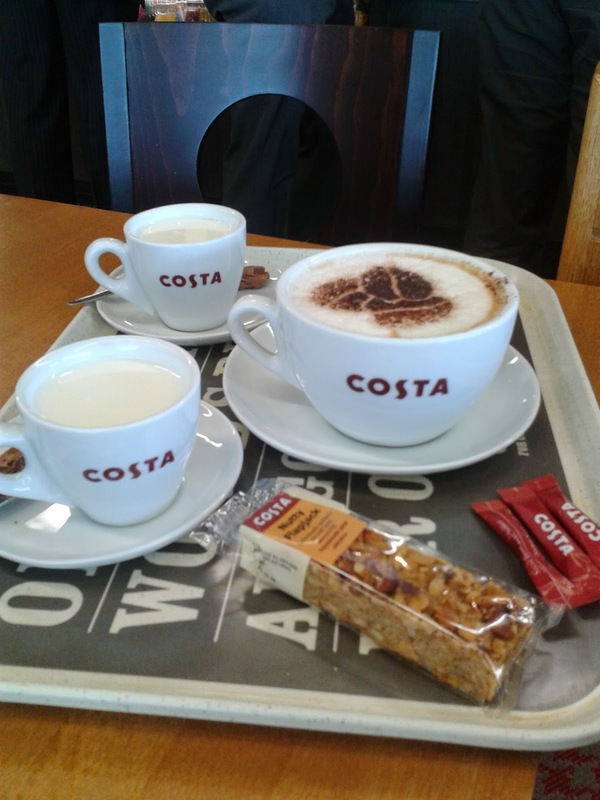 On Thursday I decided to go out and I took the twins to Costa. This is something which I have never done on my own before. It would either be a success or disaster! I am delighted to say that it was a success, they were so good. 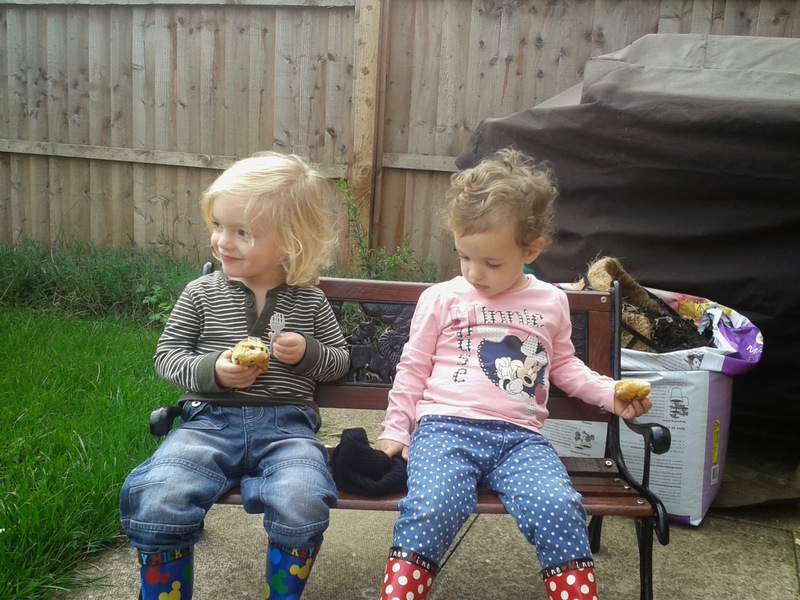 They sat and had a babyccino and biscuit while I enjoyed a cappuccino and flapjack. It was so lovely, we will definitely be doing it again! Dotty makes us all chuckle so much. She is a cat who is full of character. 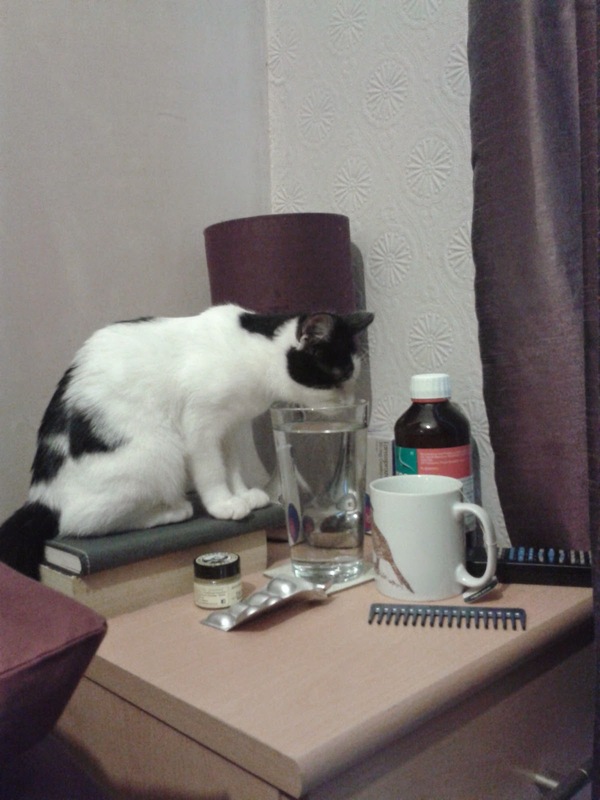 I had to take this picture of her sitting on the hubby's bedside table taking a drink. We went for a ride out to see the hubby during his lunch break today. We also saw my mother in law so we had a busy afternoon! Saturday I woke up full of cold and with a sore throat. After getting up the hubby looked after the children so that I could go back to bed. After doing a bit of baking I was exhausted so he took the children shopping so that I could get some rest. My Silent Sunday, Black and White Project Photo and My Sunday Photo. I think psychologically pampering yourself is good, hope it makes you feel better. 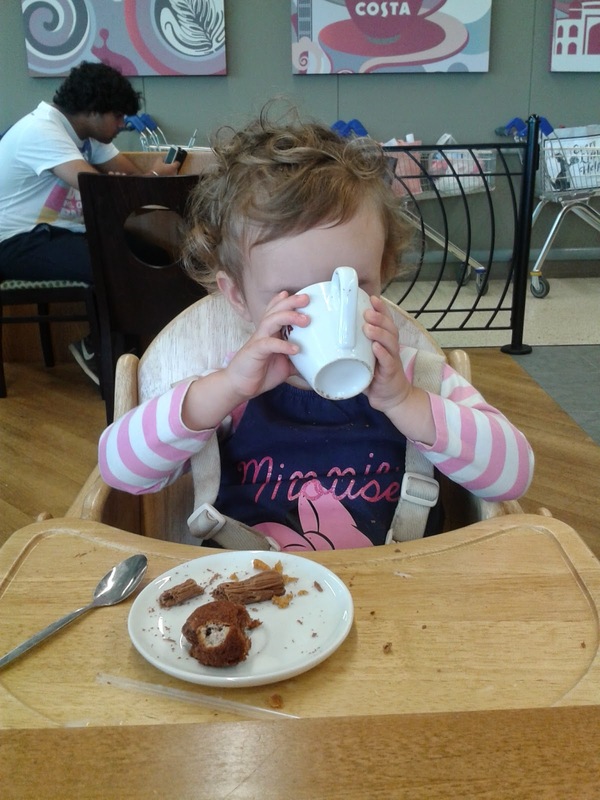 Love the babyccino. I know how difficult my daughter finds it to get out herself with the twins so nice to know it does get easier. Aww yay for a twin date! That looked fun! How did the baked pears go? Those trees are wonderful, what an amazing view every day, I would find it so peaceful. I also love the photo of the swan, beautiful editing.